(StatePoint) It seems that everyone these days has a friend following a “keto-friendly” diet — a low-carb eating plan designed to make the body burn fat more efficiently. Developed years ago to control diabetes and then later to treat epilepsy in children, different versions of the keto diet have gained traction as effective weight loss plans, according to The Harvard T.H. Chan School of Public Health. “One thing all keto diets have in common is that they restrict carbohydrates in favor of healthy fats in an effort to achieve nutritional ketosis — the state in which your body burns fat instead of glucose,” explains registered dietitian, Courtney McCormick. The experts at the South Beach Diet are now taking a safe, effective approach to keto by offering a keto-friendly plan, and are providing helpful tips to get started. 1. Count net carbs: A keto-friendly diet is based around the idea of net carbs. Limit yourself to no more than 50 grams of net carbs daily. While this isn’t considered a strict keto diet, it follows the keto plan for those looking for assistance with getting started. To calculate this number, take your total grams of fiber and grams of sugar alcohols consumed and subtract that from your total grams of carbohydrates. The resulting number should be within the 40 to 50 net carb range. 2. 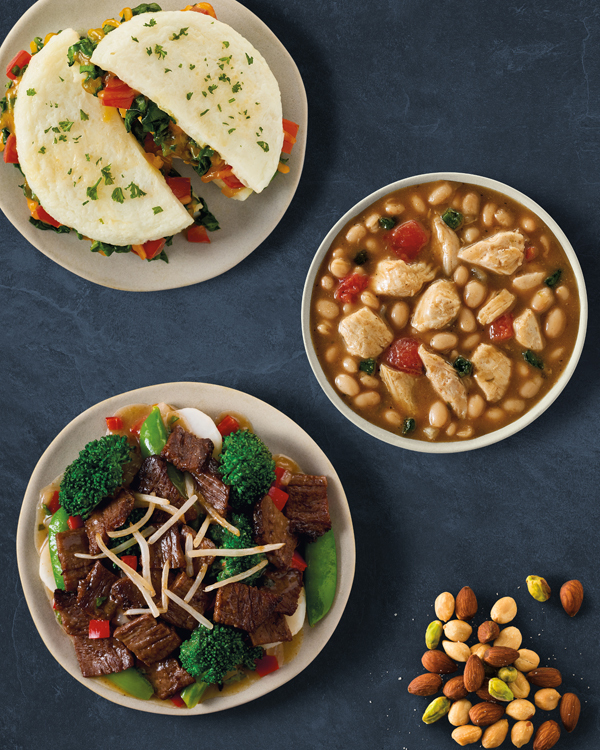 No beans, legumes or fruits: To keep your overall daily net carbs within a certain range, even good carbs like beans, legumes and those in most fruits are off-limits except for occasional indulgences. Stick to non-starchy veggies only, like leafy greens, cauliflower, broccoli, mushrooms and zucchini. 3. Water is essential: Your fiber intake is reduced on a keto-friendly diet with the elimination of whole grains, beans and legumes. For digestive health and to ward off constipation, it’s important that you drink sufficient amounts of water. 4. Variety is key: Following a keto diet could put you at risk for deficiencies in micronutrients, including selenium, magnesium, phosphorus and vitamins B and C. To compensate, take a multivitamin and stay away from eating the exact same thing each day. Mix it up with an array of lean proteins, healthy fats and a daily serving of non-starchy veggies. Pay attention to changes in your health like hair loss, vision changes, aches, pains or weakness. Simple blood tests can reveal levels of vitamins and minerals. 5. Plan special occasions: Carbs are king at special meals and holidays. Communicating your needs with family and friends beforehand can help you avoid peer pressure and garner support for your efforts. Offer to bring a keto-friendly dish so you’ll be sure to have something to eat. When following a keto or keto-friendly eating plan, do so in the safest, healthiest way possible. Consult your doctor and consider following a plan supported by trusted weight loss and healthy lifestyle experts.